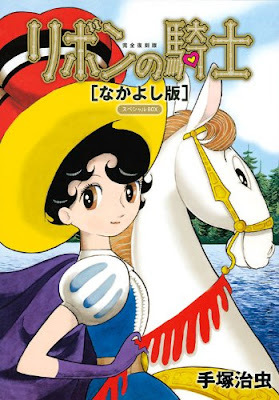 This post is a tribute to Shingo Araki, who left this planet on the 1st December 2011: he was one of the greatest animators, directors and character design of Japan, a person whose work filled the dreams of many children of the 70's/80s'. Until the end of the 70ties- beginning of the 80ties in Italy animated cartoons were a kind of rarity. Though we Italian kids had access to Classics like Tom and Jerry, Looney Tunes, some Disney's shorts, signor Rossi, Popeye, Mr Men, Hanna & Barbera's and some bizarre productions from east Europe, they were broadcast on tv for just 10-15 minutes a day . Our hunger for animation was quenched only when a Disney classic would be back in cinemas or at Christmas, or when psychedelic movies of the sixties like "Yellow Submarine" and "The Point" appeared like shooting stars on our tv screen. Everything changed when Japanese cartoons arrived in Italy. 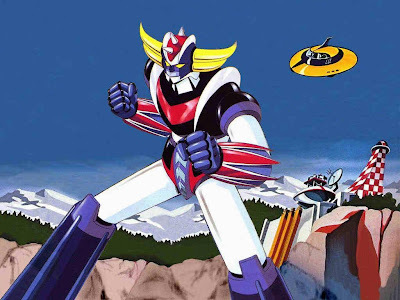 The first two to land were “Goldrake” and “Heidi”: the success was huge and from then on Italy was flooded with Anime! I remember the name of Shingo Araki, flashing on the screen endless times during the opening credits of many Anime series of those days. Araki lent his talent to endless series based on Mangas from some of the most important Japan's cartoonists, like Go Nagai and Osamu Tezuka. He brought new life in their characters, gave them color and even more personality. 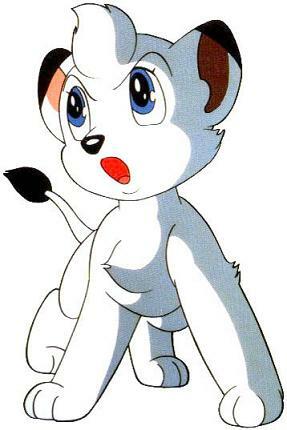 The list of Araki's masterpieces starts with Kimba the White Lion, that he made for Osamu Tezuka in the 60's and then it goes on with La principessa Zaffiro (Princess knight or Ribon no Kishi from the omonimus Osamu Tezuka's Manga), Rocky Joe (Ashita no Joe), Sam ragazzo del west, Babil Jr (Babel II), Goldrake (Ufo Robot Grendizer ) Bia la sfida della magia (Majokko Mego-chan), until the most recent I cavalieri dello Zodiaco (Saint Seja), Lady Oscar (the rose of Versailles). He worked for Toei animation and then in his own company, together with his wife Michi Imeno. Shingo and Michi were a powerful duo, they worked in perfect symbiosis and created masterpieces of animation. Their style became distinctive not only for the graphic but also for the way of telling the stories. 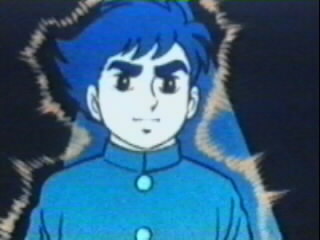 The Anime Wave of those years brought to us Italian children 30 minutes length episodes (against the usual 10 minutes of Disneys or Looney Tunes), plus new themes: until then cartoons were confined to slapstick and fairy tales and now we also had real heroes, everyday emotions, magical powers and super powers, space adventure, fantasy, etc. Often the heroes of the stories were normal everyday kids like us. 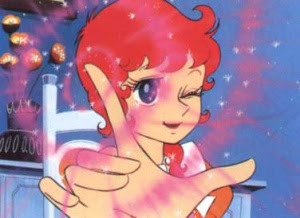 The impact on Italian children culture and consequently the way children's television was conceived was huge: any broadcaster, small or big, from state or privately own, understood that Anime were a powerful new genre. There were many series and many episodes available, so in a few years animated cartoons were available for 12 hours a day non stop! 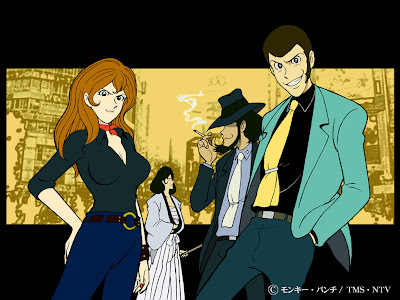 The phenomenon remained peculiar to south Europe (Italy, Spain and France in particular) so much that until today English speaking countries don't even know the existence of many Anime of those years. Personally it was and it remains to me, like a magical moment where our little brains were blown away, as if we had a zen illumination or something like it: we realized there are so many kinds of imagination out there, and many different cultures as well. Without the work of Shingo Araki and his colleagues we would have encountered these new magical worlds only very later or not at all. Somehow their animated cartoons freed our minds, they allowed us to imagine something different from the usual, something new and outrageous. 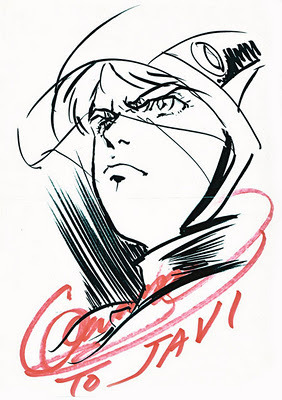 The work of Shingo Araki and his colleagues remains original even today, and it reminds me of a time in which style and personality had a meaning in Japanese Anime (SIC!). The recent remakes of his series (Babel II, Princess Saphire) simply cannot compete with the originals. 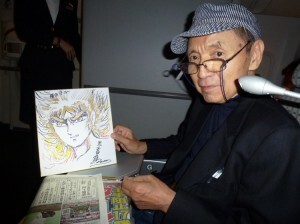 Araki retired as he was 68, so he worked almost all his life! In English: http://www.rocketpunch.com/mag/?p=6567 Very informative this one! I want to say a big “Thank you Maestro!”, I hope in the next astral-plane they already prepared pencils and paper for your arrival!